Microsoft is expanding the reach of its HoloLens augmented reality headgear to six new countries around the world. Starting Wednesday, interested customers in Australia, France, Germany, Ireland, New Zealand and the U.K. will be able to preorder the devices for development and commercial use. The news comes roughly six and a half months after Microsoft first launched the HoloLens Development Edition in the U.S. and Canada, and more than a year and a half after the company first unveiled the hardware to the world. Pricing for the device in the new regions will be based on the HoloLens's price in the U.S. ($3,000) with an adjustment for regional differences. The headsets will start shipping to customers in these new markets next month. Expanding the reach of the HoloLens will put the device in the hands of more developers at a time when Microsoft is trying to drum up support for building apps that both run on Windows 10 and work with the HoloLens. Unlike when the HoloLens was made available for purchase earlier this year, users won't have to apply for one of the HoloLens Development Edition units. Instead, they will be able to pre-order the headset through the Microsoft Store online, similar to what people in the U.S. and Canada can do today. That said, a HoloLens isn't exactly an everyday purchase. The device has a hefty price tag, and third-party application support hasn't really launched for consumers. Organizations like NASA, Case Western Reserve University, Saab and Volvo already use the hardware for business applications. 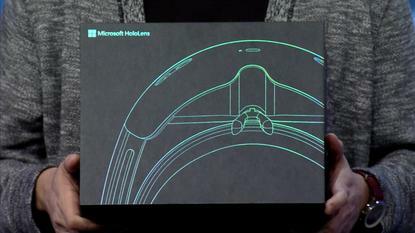 There's another wrinkle: right now, the HoloLens software is still only available in English. It's unclear when Microsoft plans to localize it, or how much work that will require considering that the device runs Windows 10. This expansion of HoloLens sales could be a boost to developers and companies in those regions that want to explore Microsoft's augmented reality headset, but really isn't for everyday folks yet.